For violation of fire safety, including the cultivation of fires in suburban areas, in the Russian Federation provides for a fine of up to 5 thousand. In particularly serious cases, for example, in the death of people, the owner of the cottage or apartment building may even be subject to criminal prosecution. It is allowed to make fires in our country on the plots only in calm weather. It is precisely because of the fact that the owners of dachas and residential houses ignore this safety rule, fires in villages, towns and partnerships with damage to neighbors, unfortunately, occur most often. Also, when choosing a place for a campfire, the owner of the suburban area needs to make sure that there are no buildings in the immediate vicinity. Otherwise, blown flames or embers may cause a fire. 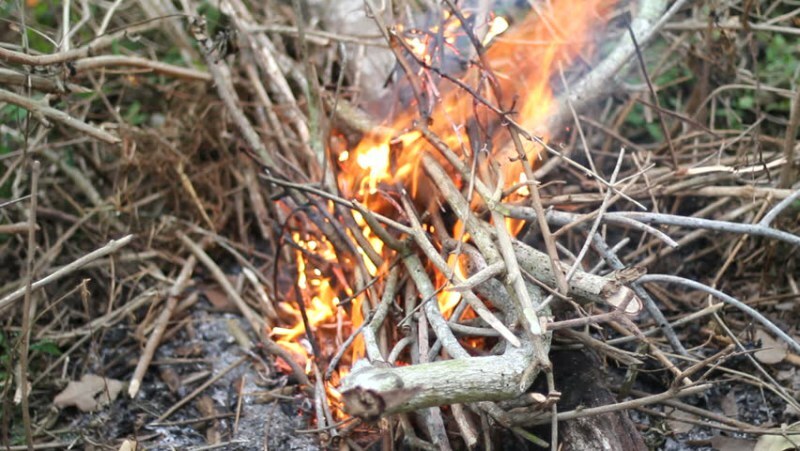 Of course, before making a fire, the owner of the suburban area must make sure that there are no flammable or explosive materials and substances nearby. First of all, it concerns dry grass, firewood, gasoline cans, etc. Garbage in suburban areas should be burned in fenced areas. The easiest way to do this is to adjust the barrel. You can also fence the place of burning bricks or dig a small hole. In any case, next to the barrel, pit, or barrage there must be a container with water – a bucket, a watering can, a garden tank. after cooking, burning garbage, etc., the fire must be completely extinguished by water or sand. It is allowed to make fires only in fenced areas. 100 m from coniferous and 50 m of deciduous forest. For barrels of garbage, all specified distances are allowed to be divided by 2. A pit for a campfire in suburban areas is supposed to be excavated at a depth of at least 30 cm. At the same time, its diameter should not exceed 1 m. It is necessary to lay combustible materials in the pit in such a quantity that the height of the flame does not exceed 1 m later. a strip of stones at least 40 cm wide. The brazier for frying kebabs or barbecue is allowed to be located closer to buildings than fires and barrels. The distance from the kebab house to the nearest structure should be at least 5 m. Around the brazier also be sure to make clearing of dry grass, debris and chips. at a distance of 2 m.